BROOKHAVEN, Miss. 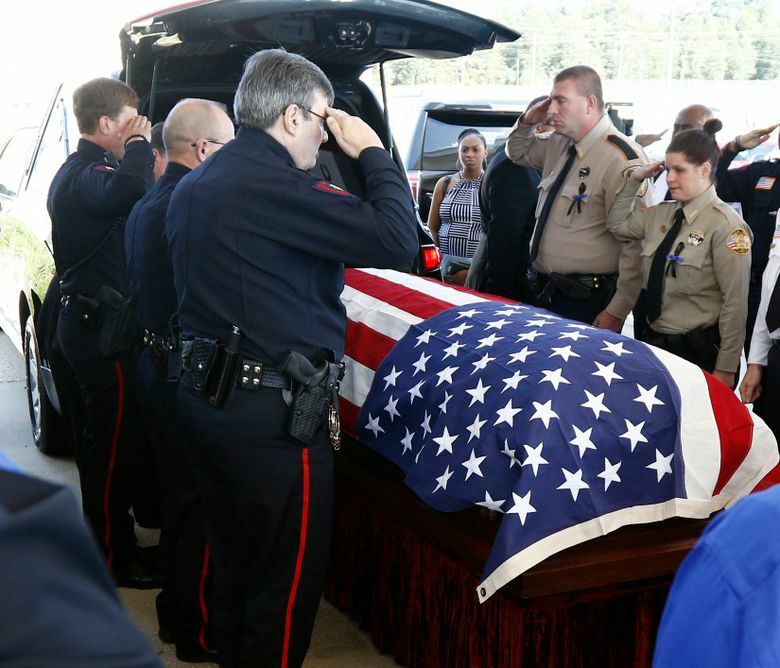 (AP) — Mourners gathered in two Mississippi communities Thursday at funerals for two law enforcement officers who were shot to death, a day after services were held for another slain officer. 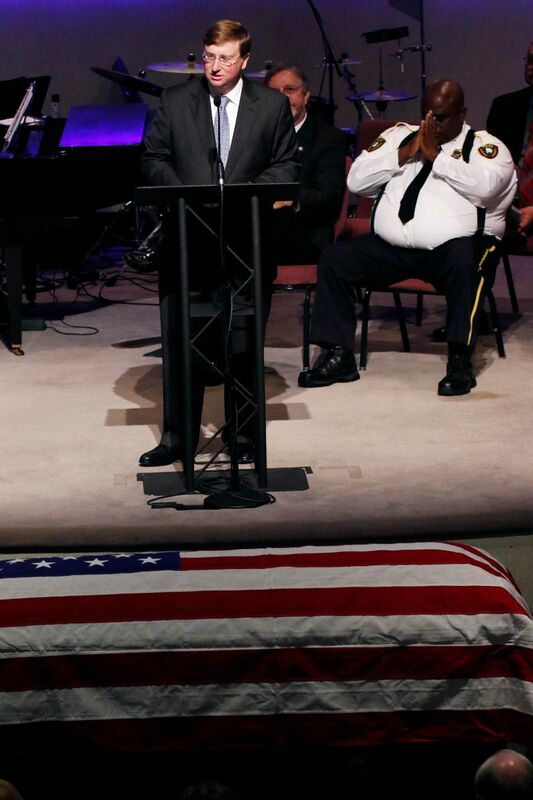 Chief Kenneth Collins spoke at the funeral of Cpl. Zach Moak, 31, who was one of two on-duty officers slain early Saturday in the city of 12,000. 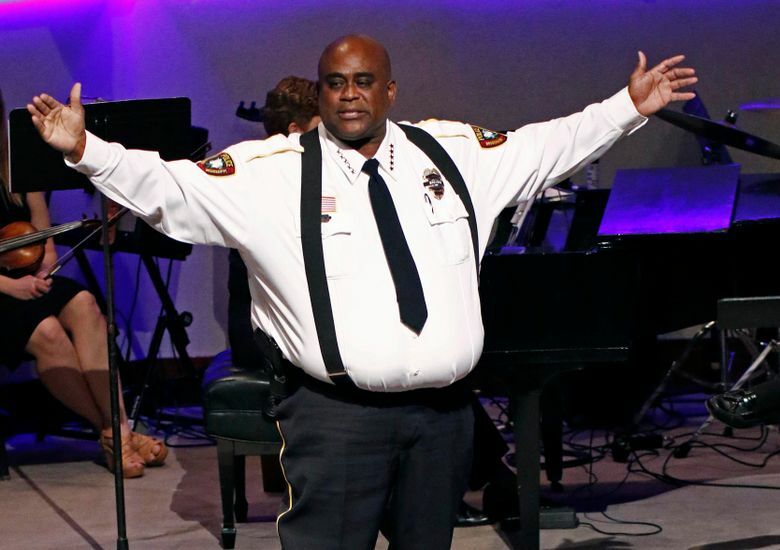 Moak and officer James White, 35, were gunned down while responding to reports of shots fired at a home in Brookhaven, which is about 60 miles (95 kilometers) south of the state capital of Jackson. 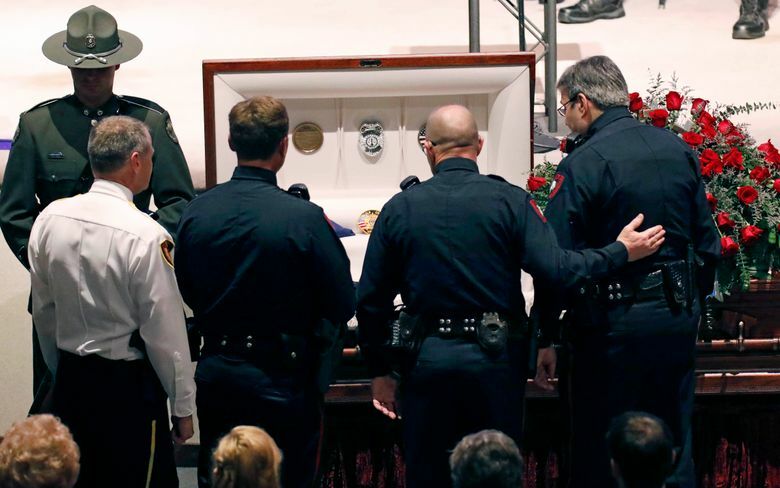 Hundreds of people, including many law enforcement officers in uniform, packed Brookhaven’s Easthaven Baptist Church for Moak’s funeral Thursday and for White’s on Wednesday. “In every corner of this state, there are Mississippians praying for you,” Lt. Gov. 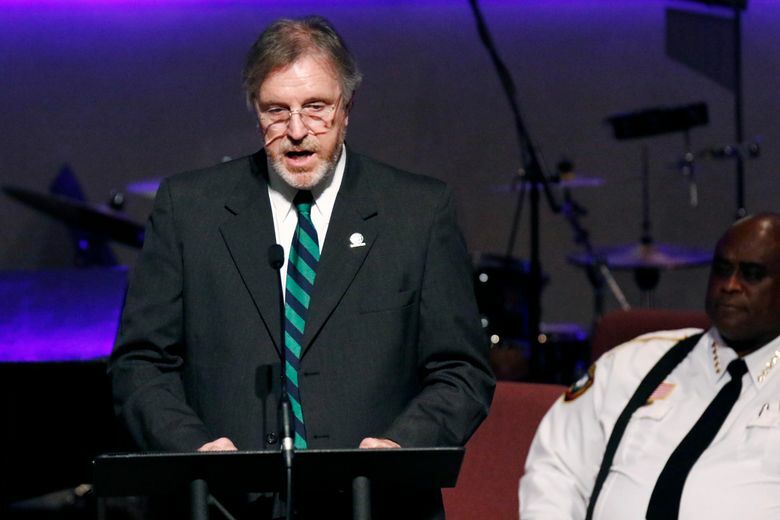 Tate Reeves told Moak’s family during the service. 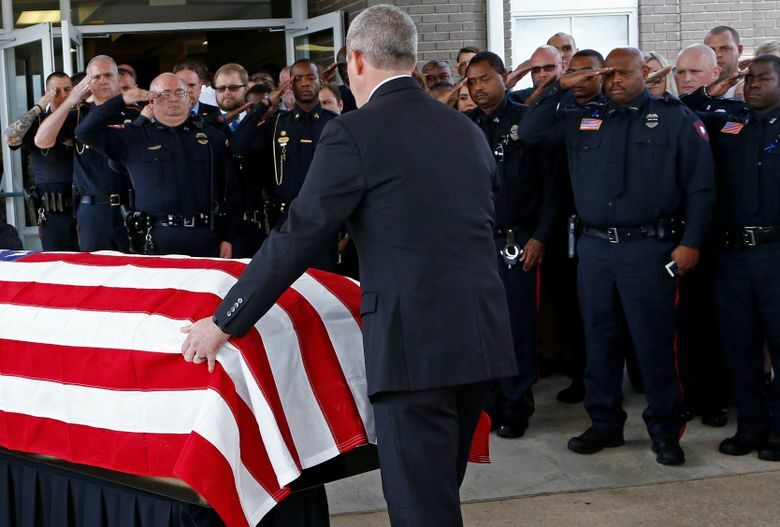 Outside the church, officers saluted as Moak’s casket, draped in an American flag, was put into a hearse. 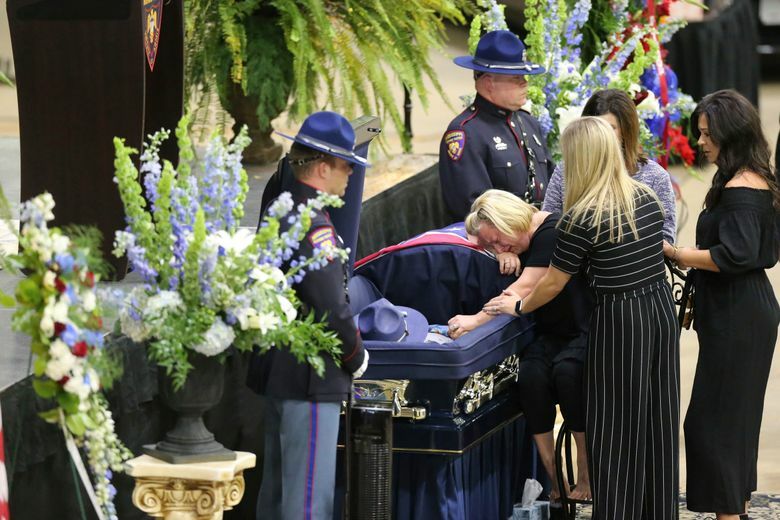 The other funeral Thursday was in the northern Mississippi city of Corinth, for slain Highway Patrol Cpl. Kenneth “Josh” Smith, 32, of Walnut. He was shot to death while off duty early Sunday, dying in an isolated area near the Hatchie River, southeast of Walnut. Highway Patrol Cpl. Gary Stanton, who went through trooper training with Smith more than a decade ago, said Smith was a brave man who stood up for his beliefs. Republican Gov. 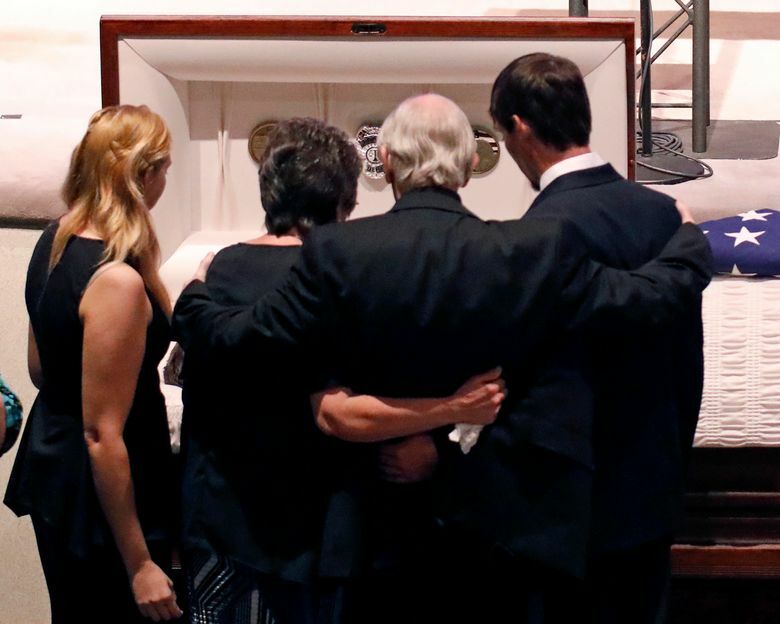 Phil Bryant, who started his own career as a deputy sheriff, attended Smith’s funeral in Corinth. The deaths in Mississippi happened within days of other violence against law enforcement officers. Seven officers in South Carolina were shot, one of them fatally, on Wednesday in a confrontation with a man who authorities said held children hostage as he fired on officers. In Mississippi, police say Marquis Flowers, 25, shot the two Brookhaven officers. Flowers had a series of previous felony convictions and was free on bail at the time of the shooting. He has been hospitalized and has not been charged, and it’s not clear whether he is represented by an attorney. Police have questioned others, but it’s unclear if they will pursue charges against anyone else. In the trooper’s death, Troy Anthony Eaton, 43, of Rienzi, Mississippi, surrendered to authorities Sunday. Eaton was charged Monday with capital murder in Smith’s death and aggravated assault in the shooting of Rickie Dale Vick, 38, of Michigan City, Mississippi. Vick survived.